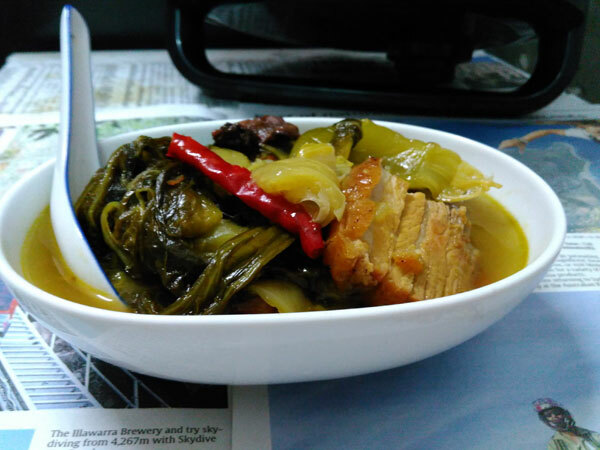 The other day, I roasted a piece of pork belly ( siew yoke )and kept some for making ' kiam chai boi ', a savoury asian dish using left overs of meat, prawns and cook it with Chinese Mustard (Gai Choy), pickled mustard green ( Kiam Chai ), dried chillies, slices of tamarind (Assam Poi) until all has soften and aromatic. 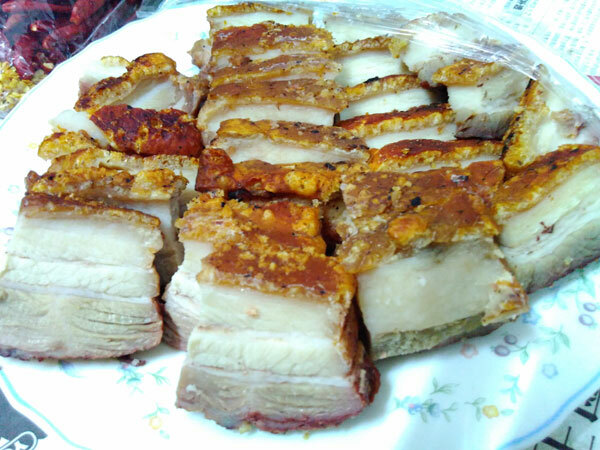 For me, I prefer roasted pork belly or roasted trotters thus I roasted pork belly for this dish :) This dish is appetizing...hot and sour...I can eat this dish stand alone. 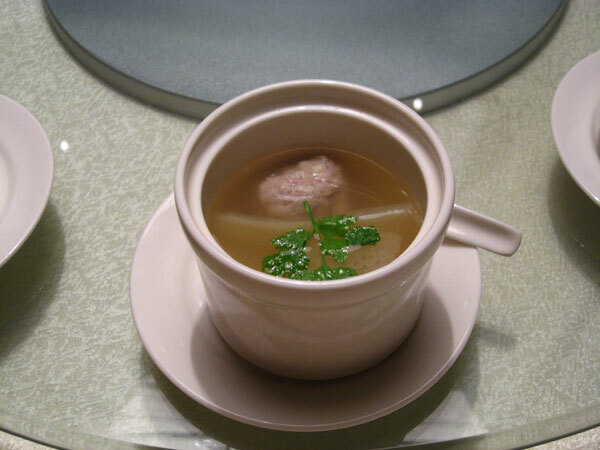 The soup is so much tastier especially I cooked this dish in Philips Pressure Cooker! 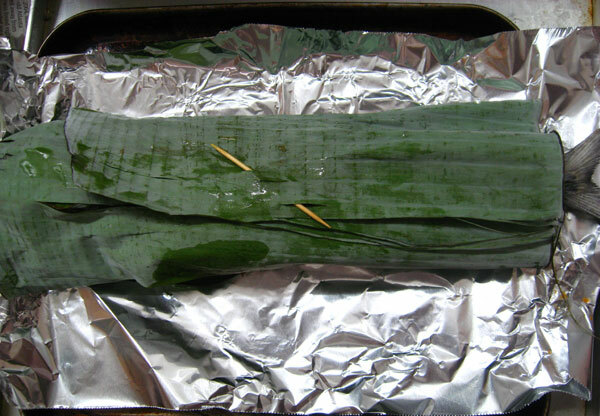 The pressure helps to keep the aroma and taste locked in. Yummy! 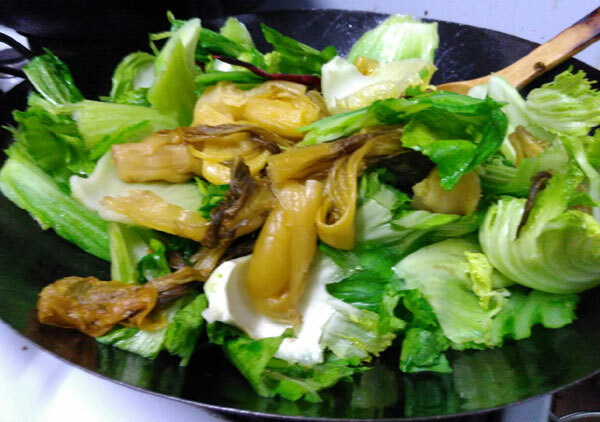 All I need to do is to stir fry the vegetables...that is the Chinese Mustard and pickled mustard green with dried chillies, slices of dried tamarind, a piece of ginger with a tablespoon of oil until the greens has wilted and become soft. 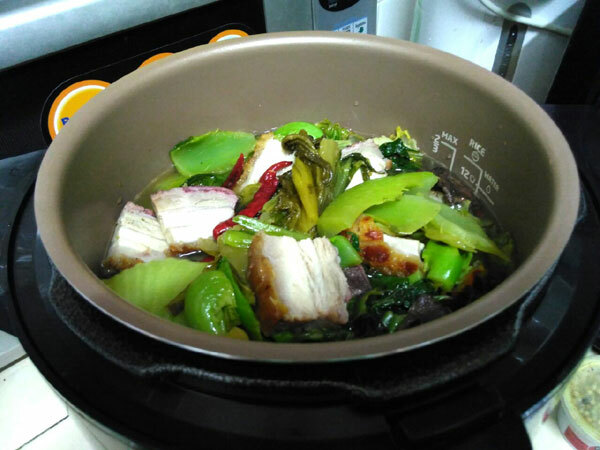 Once the greens has turned soft about 15 mins, scoop the stir fried veggies and roasted pork belly into the pressure cooker. Add water to the maxi level allowed. 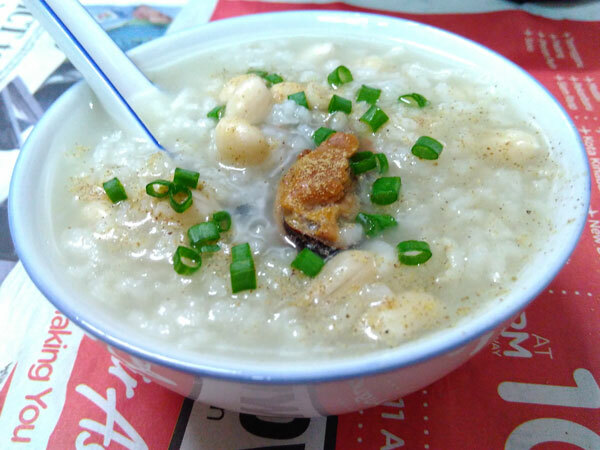 Set to congee mode ..KPT 13 mins and after the pressure cooker depressurized, the Kiam Chai Boi is ready to be served. 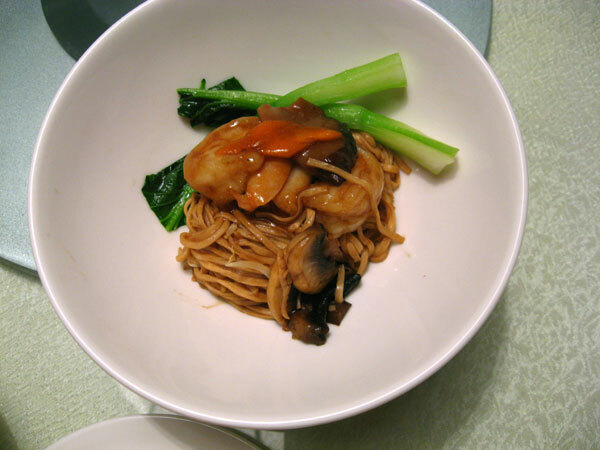 Stir fry all the ingredients with a tablespoon of oil in a wok, once the the geens has soften , add in the roast pork and stir fry till well combined. 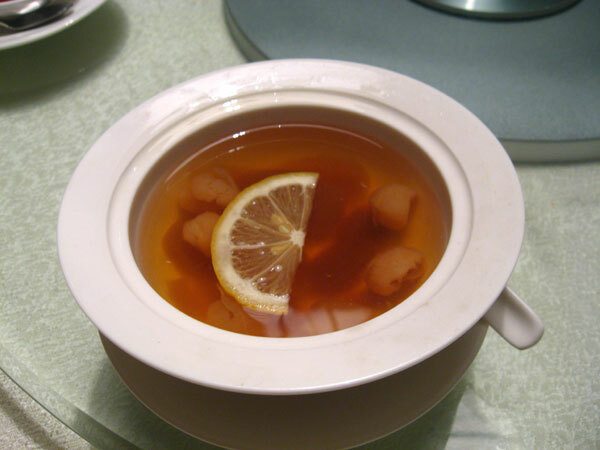 Scoop them into the pressure cooker , add water to the maximum level allowed and set the presure cooker to congee mode KPT 13 mins. 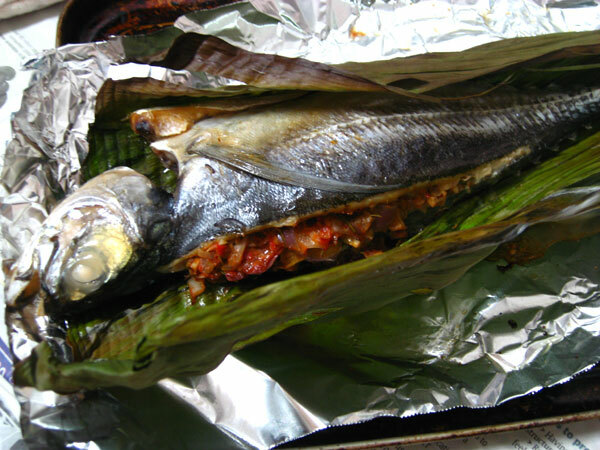 allow the cooker to depressurise before opening the lid and serve hot with rice. 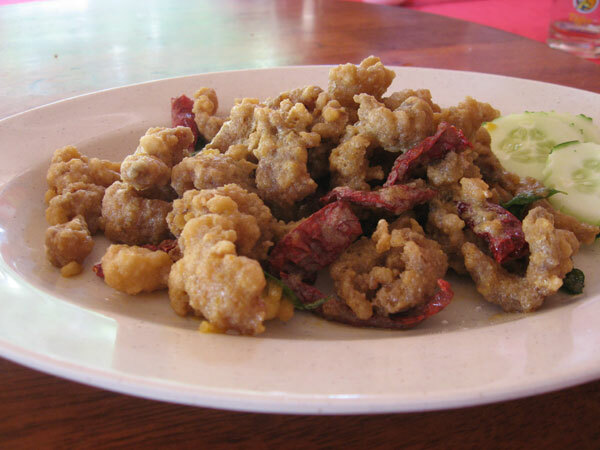 Each time I visit my gal in Semenyih, I look forward to the food there. 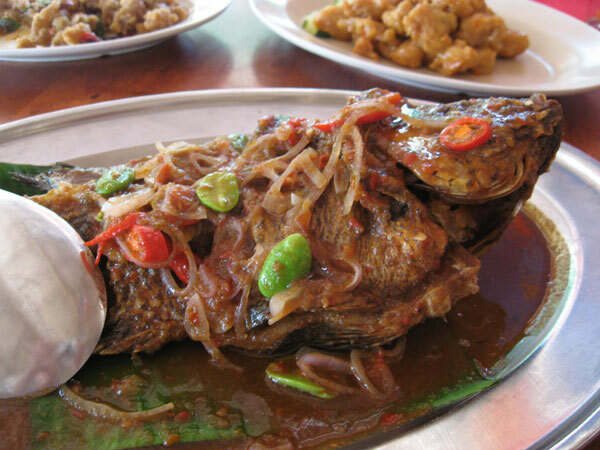 They are a few new places Semenyih that offers good and delicious food. 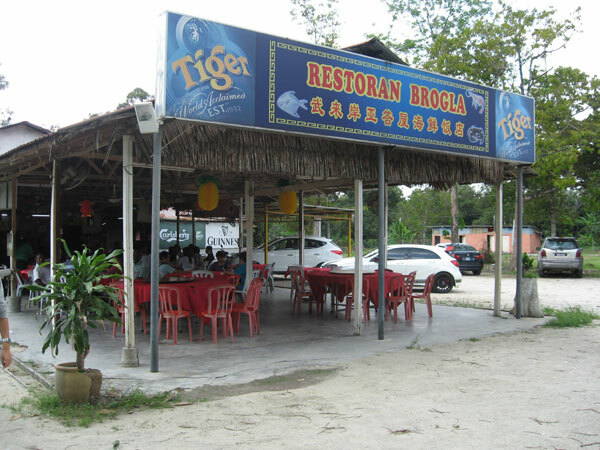 And today, I would like to introduce you to this restaurant in Broga, Semenyih called Restoran Brogla. 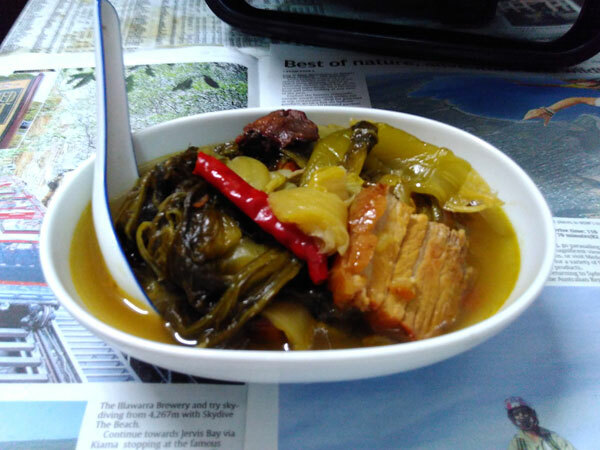 My gal and son-in-law brought us ( WB, Joshua and myself ) to this Restoran Brogla during our recent trip there , and really, they serve good dishes that had me craving for more even after a hearty and heavy meal. I told my gal, I am coming back for more and now I am already planning my next trip there. 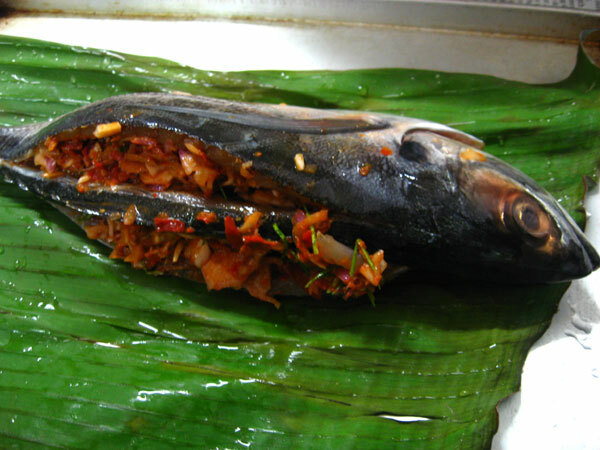 Their signature dish is the Assam Petai Tilapia ( pic above) ...it is really lip-smacking good..the fragrant and taste is fantastic. 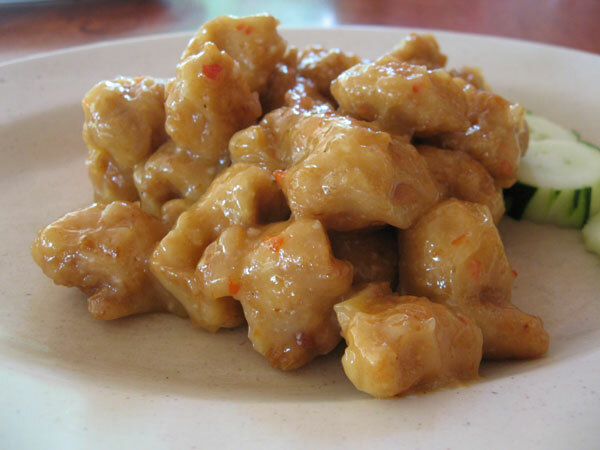 I wish I could cook at home this dish :p anyway, I will try to replicate and see if I could get near there where taste is concerned. 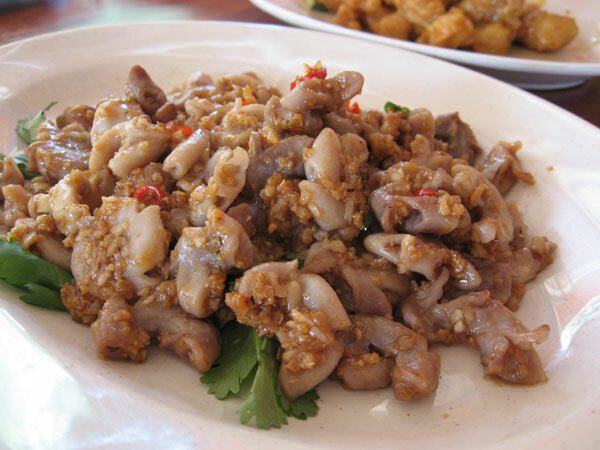 And the second dish , yummilicious pork intestine with fried dried shrimps and bird's eye chillies...so delicious that now I drools as I am writing this post. Before the GST came into force in April, I bought my very first electric pressure cooker - Philips Pressure Cooker for RM475 from Jusco during Jusco Privilege Card Day. 5% discount on all electric goods and on top of that I received RM40 vouchers plus a set of Philips ceramic knives . A good deal no doubt , but the most important point is with this cooker, I get to cook food in lesser time and tastier food. 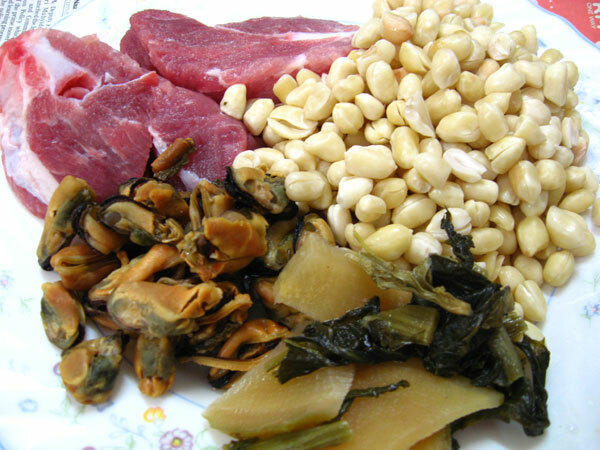 The ingredients used for the porridge are dried oysters, preserved turnip( tai tau choy in cantonese), soften peanuts and soft bone pork and rice, salt to taste and ground white pepper. 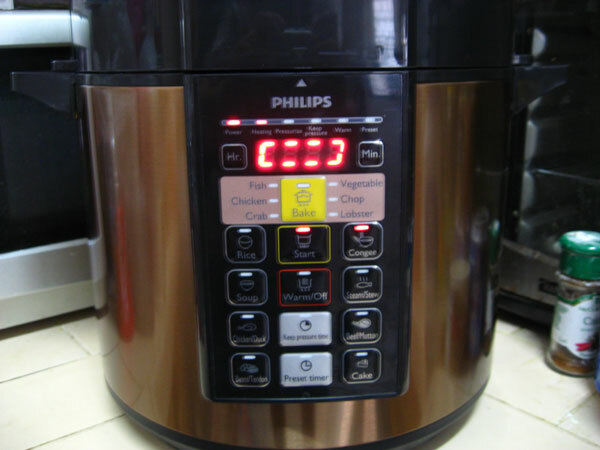 I dumped everything into the pressure cooker and add water to slightly above the 1/3 water level mark and press the porridge mode. KPT is 13 mins. 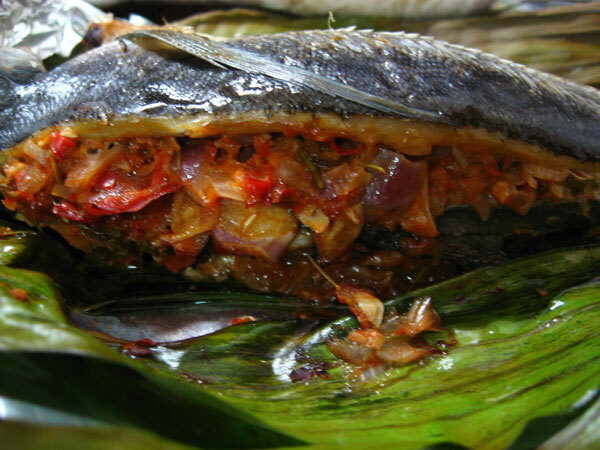 Once it is done, allow it to depressurise by itself and then it is ready for serving. 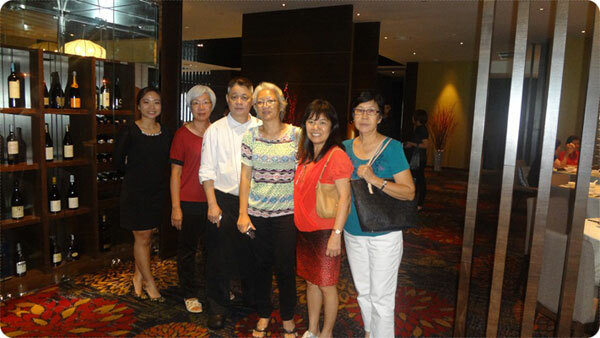 I am happy with the PPC and will be using it very often as I find it very convenient. While it is cooking my food, I can do my gardening. Hahaha no more worries about food getting burnt ! Step one, pound some fresh chillies using a mortar and pestle , if you want it more hot you can add some bird's eye chillies, while toasting some belacan ( shrimp paste ) in the background. 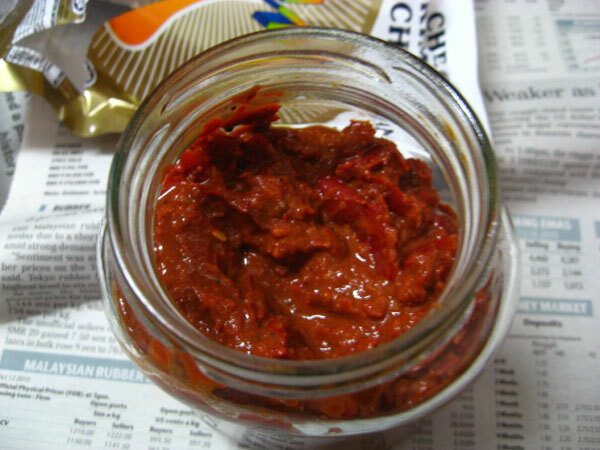 Once the belacan is nicely toasted and fragrant and while still hot, add to the pounded chillies and continue pounding till the belacan is well combined into the pounded chillies..your sambal is ready for use. 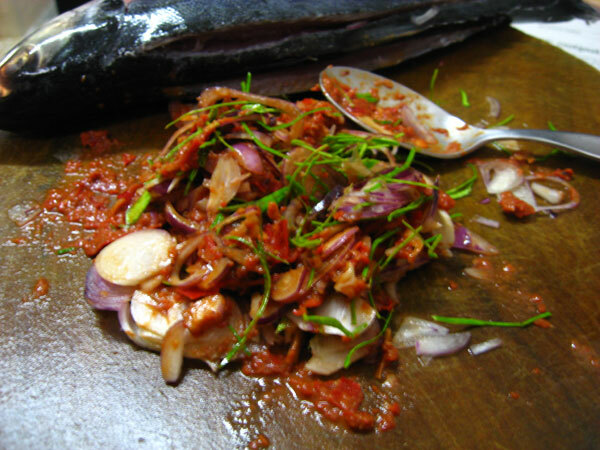 Step two : slice shallots and kaffir lime leaves thinly and add to the sambal . 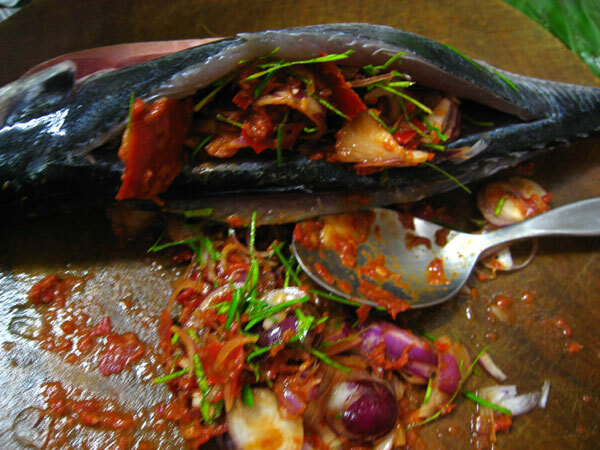 This makes the most fragrant and delicious filling for the fish. 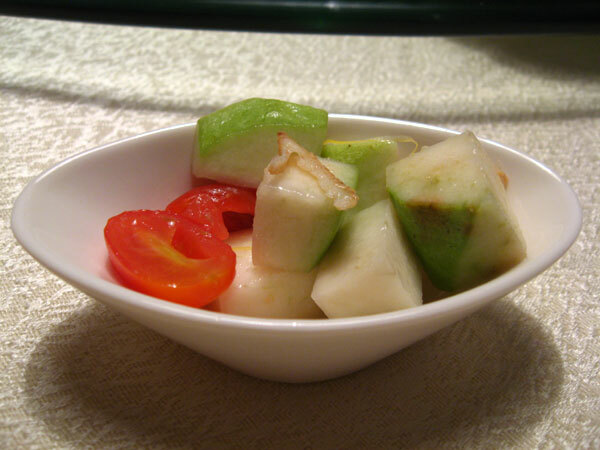 Don't know what to cook this weekend...try this ! Pound chillies in traditional mortar and pestle till pulp..meanwhile toasting the belacan in a wok over low heat..once the belacan is fragrant and well toasted, add to the pounded chillies and continue pounding till well combined. 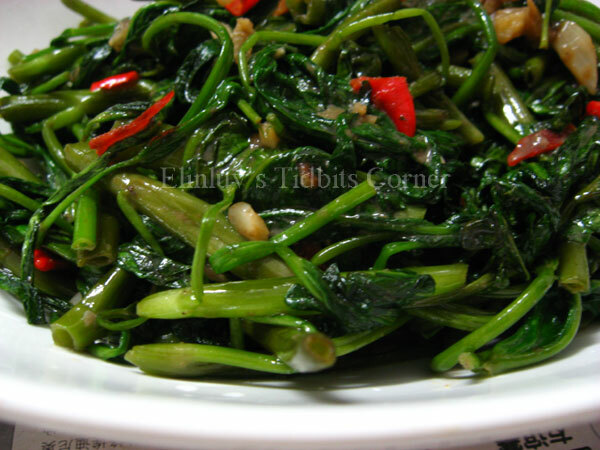 Add the sliced shallots and kaffir leaves and mix till well combined. 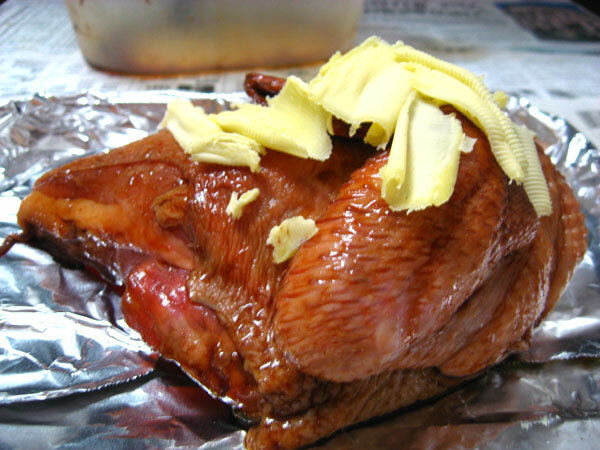 Anyway, this is the most aromatic roast chicken and I know why WB loves it...the butter gave it the unique flavor of this roast chicken. And he made sure the fat under the chicken skin are burnt off during the roasting period so that the skin is crispy....thus the reason for the chicken having the burnt look :) This roast goes well with a bottle of red wine . 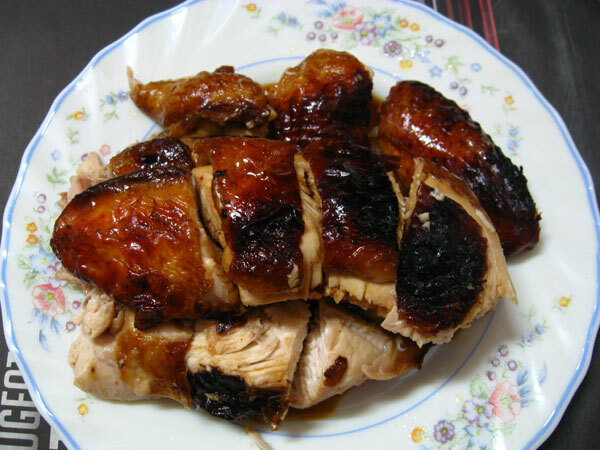 Marinate chicken with ingredient (A) for a few hours or overnight in the fridge. 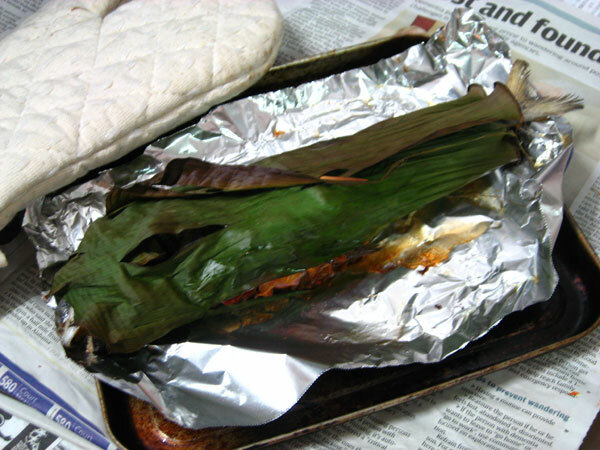 Place marinated chicken on a baking tray lined with aluminium foil for easy cleaning. 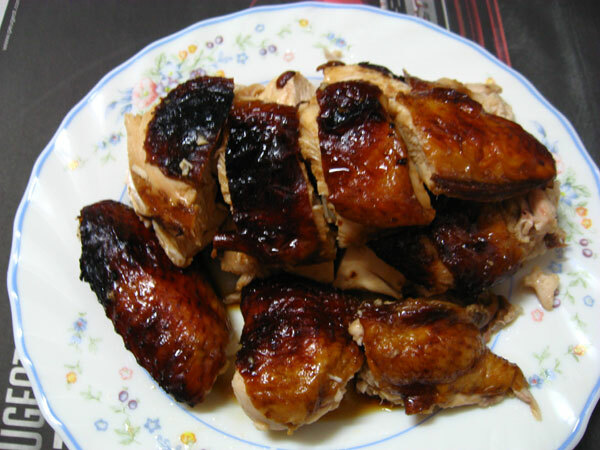 Top chicken with scraping of butter. 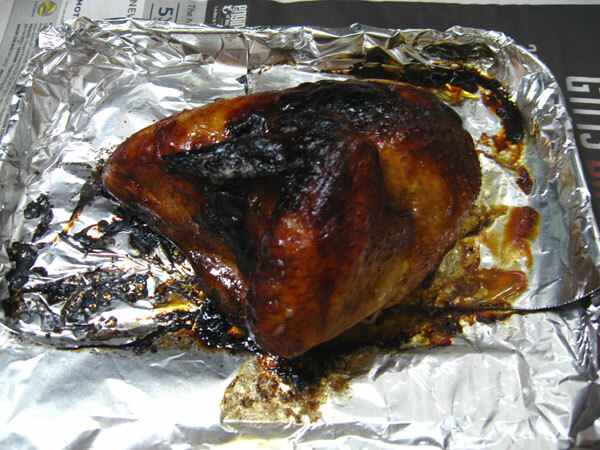 Roast in a preheated oven of 200C for 40 mins or till chicken is cooked. 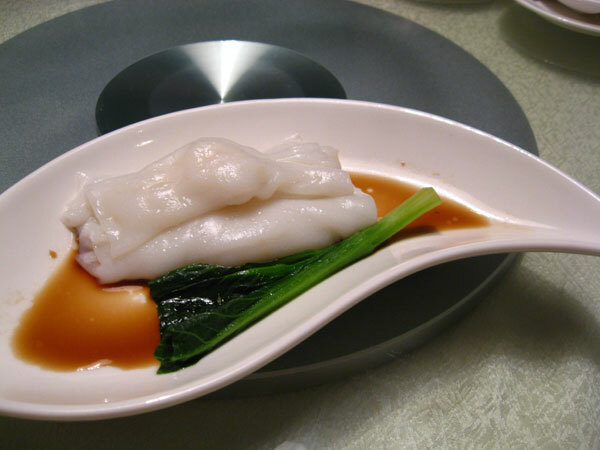 My first dining experience at Yuk Sou Hin Chinese Fine Dining Restaurant at WEIL Hotel was three weeks ago , when a friend gave us a dim sum lunch treat. 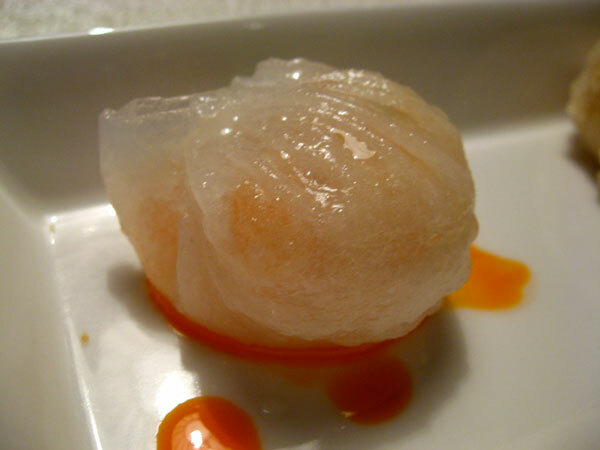 After a scrumptious and satisfying and memorable dim sum lunch, the memory of the freshest dim sum still lingers till today . 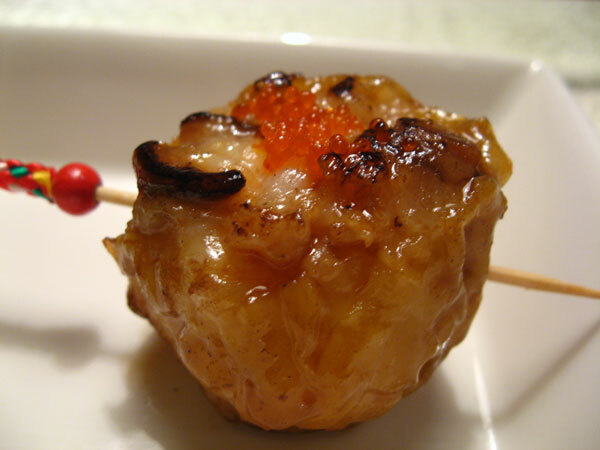 I told myself , I must bring bring my Piggies here try out for themselves what I had savored . 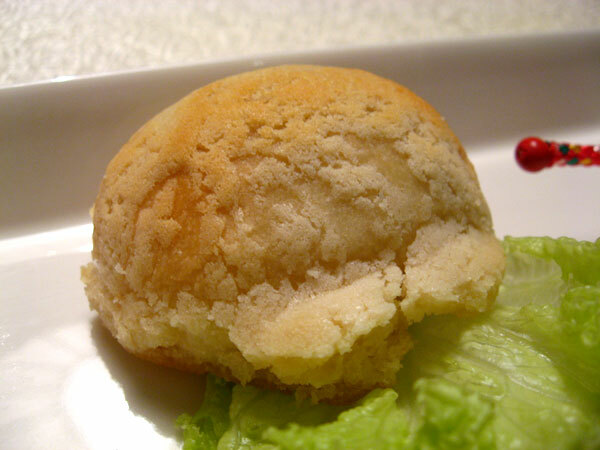 I am sure they will enjoy as they love dim sum. 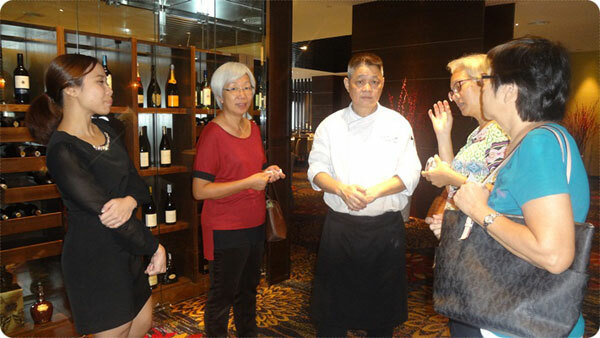 An opportunity presented itself ,when I received an invitation from the Hotel for lunch last Tuesday with some bloggers , and after which a short interview with Master Chef Chung H Shi who helmed the kitchen. 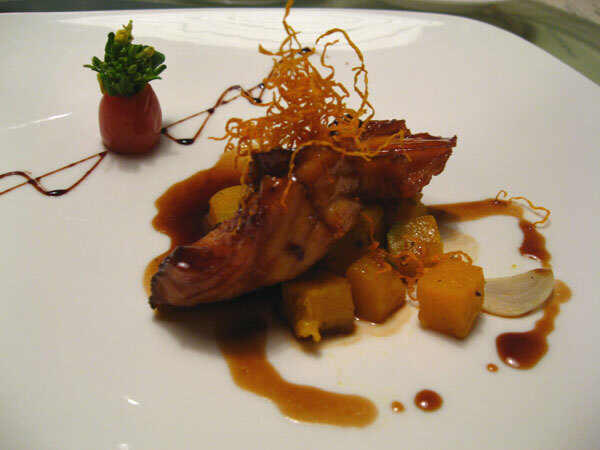 Master Chef Chung Ho Shi is from Hongkong and has worked in Singapore for twenty over years. 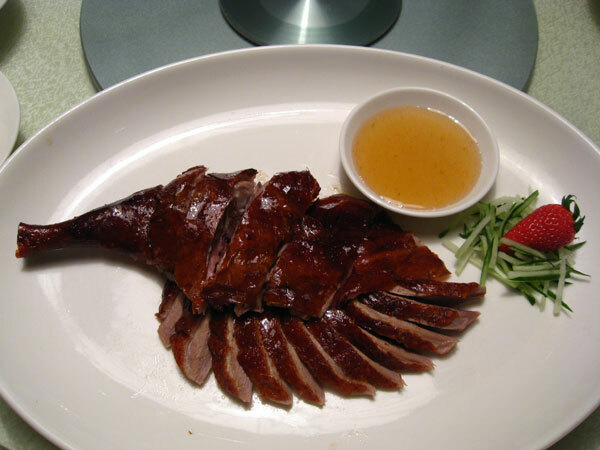 A man with many years of experience in preparing Cantonese specialties ...his signature dish , the Smoked duck with Lychee wood is commendable and a must order if you are dining here. 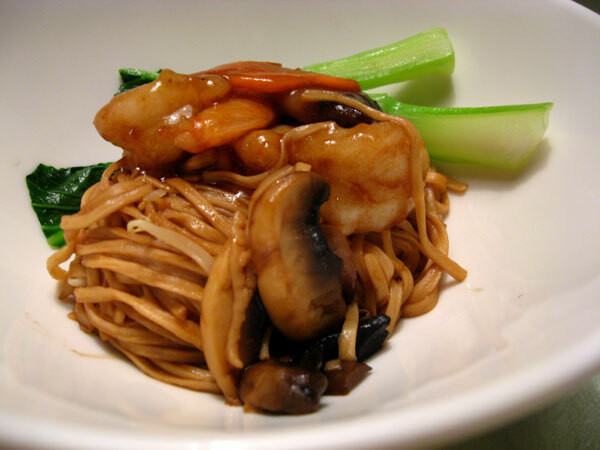 The ingredients used by Master Chef Chung are premium ingredients and their prawns are specially selected one. Needless to say, though our time with him is just a few minutes, as he has to rush back to the kitchen , we managed to squeeze some cooking tips from him :p food bloggers what do you expect LOL! He is generous to share with us some cooking tips. 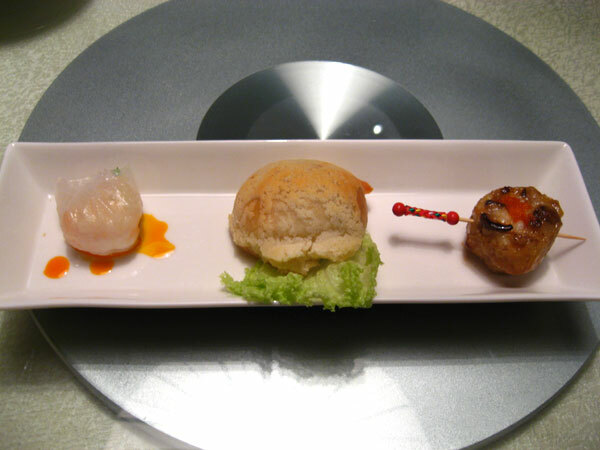 Okay , I will not digress further...back to the special menu prepared for us by Master Chef Chung. 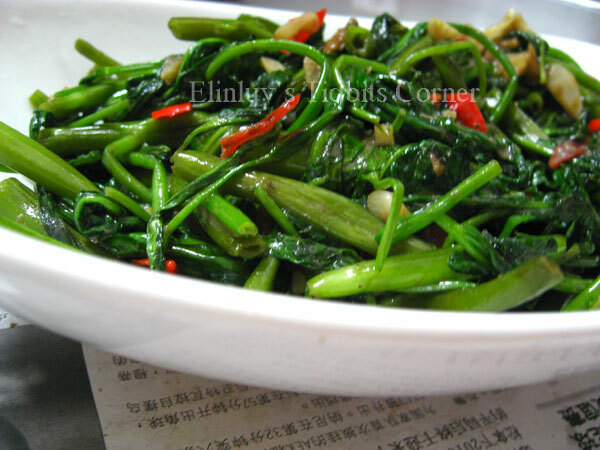 This is a very simple stir fry dish from home -Stir Fry Water Convolvulus/Kangkung with toasted belacan and you can find them in most chinese restaurants in Malaysia. 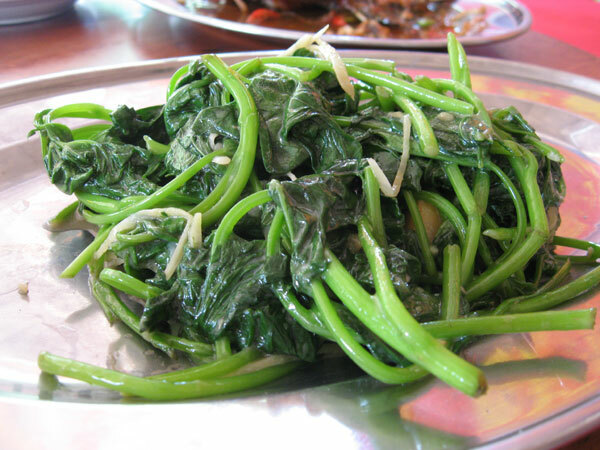 My kids love this dish the day I introduced this dish to them . 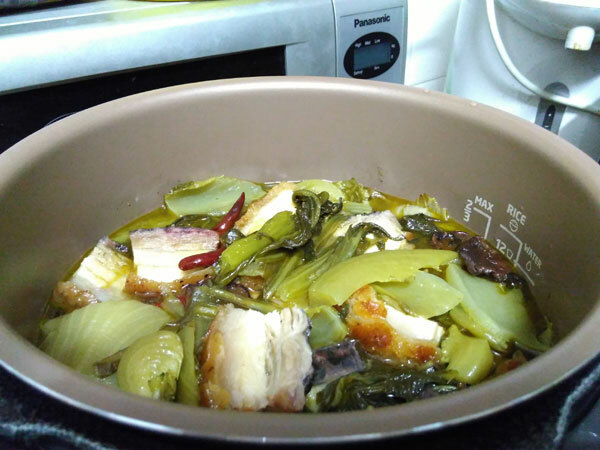 Many kids will not like the belacan smell but mine simply love them :) WB and myself love this simple to prepare dish and it is appetizing too. Heat oil in wok till smoking hot, add in the garlic slices, bird eye's chillies and toasted belacan and saute till fragrant. 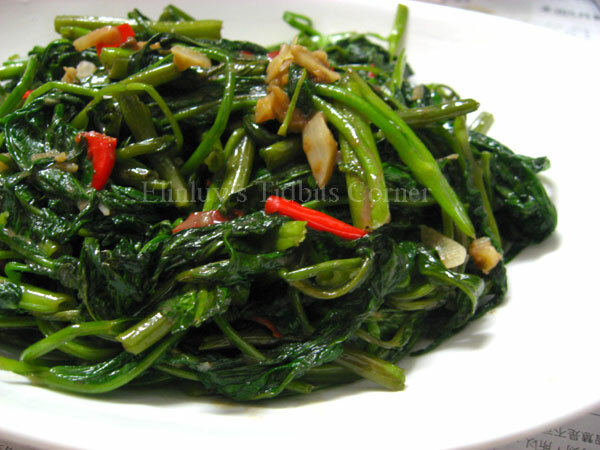 Add in the cleaned and cut kangkung and continue to stir fry till soft and cooked and well blended with the sauted ingredients. 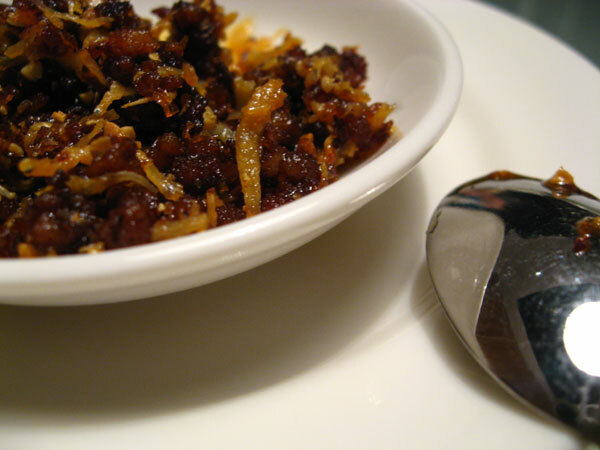 Dish up and serve hot with rice.